This year’s show promises to be bigger and better than ever and includes male participants competing for the Mr. Fifth Form title. The newly crowned Mr. and Miss Fifth Form will become Digicel brand ambassadors for a year and will have the opportunity to represent their school, as well as Digicel in an official capacity. As brand ambassadors, they will take part in a Digicel advertising campaign, a social media campaign and receive gifts from Digicel. “The theme of this year’s pageant is ‘The Best is Yet to Come, Embrace Your Destiny’ the Mr. and Miss Fifth Form Pageant is about embracing talent and nurturing it to build a positive future. We take the contestants through self-development workshops, they must have a GPA of at least 3.0 for the current school year, show a willingness to be a team player and demonstrate discipline and intelligence. The pageant develops life skills and builds confidence and is an ideal platform to build upon,” said pageant Chairperson Ms. Bisa Smith. Digicel CEO, Conor Looney, added, “We are delighted to renew our sponsorship of the Mr. and Miss Fifth Form pageant. At Digicel, we celebrate the extraordinary people in our communities who demonstrate talent, drive, and commitment. The contestants have the dedication to get up on stage in front of their peers, perform and accept judgment. We would be delighted to have any of the competitors as Digicel brand ambassadors”, commented Looney. 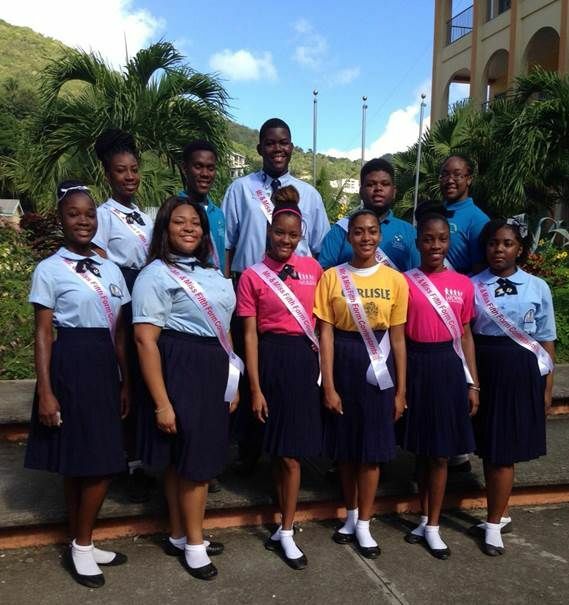 The Miss Fifth Form Pageant was established in 1986 when it was first called the Miss BVI High School Pageant. In 1989 the pageant was expanded to include male contestants. Since then, it has become an event to look forward to every year. The organizers expect that’s this year’s pageant will be the best yet. Digicel asks that persons come out to support these young men and women as they showcase their extraordinary talent and ability. In addition to being brand ambassadors, the winners will also be rewarded with smartphones from Digicel and one year of free service.